Well-known Grand Prix rider Aaron Vale started off Week VIII with a bang, winning the $5,000 Johnson Horse Transportation Welcome for the second week in a row, aboard EXCLUSIVE with a jump-off time of 28.572. Vale also took the fourth place title aboard STAKKO with a jump-off time of 30.720. Second place was earned by Brian Feigus and CARLA with a jump-off time of 28.959 while Dorothy Douglas took the third place spot aboard CHACCO LAIT with a jump-off time of 29.755. Rounding out the top five was Bryn Sadler aboard BULL RUN'S LIVING with a jump-off time of 30.956. Aaron Vale and EXCLUSIVE, winners of the $5,000 Johnson Horse Transportation Welcome. Friday brought even more success to Andrade, as he was both first and second place in the $10,000 Open Prix aboard BOY IV and JENNI'S CHANCE and jump-off times of 27.748 and 29.601, respectively. 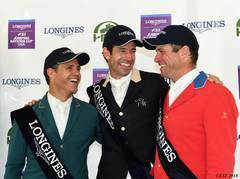 German rider Andre Thieme took the third place spot aboard FORAMI with a jump-off time of 30.691. 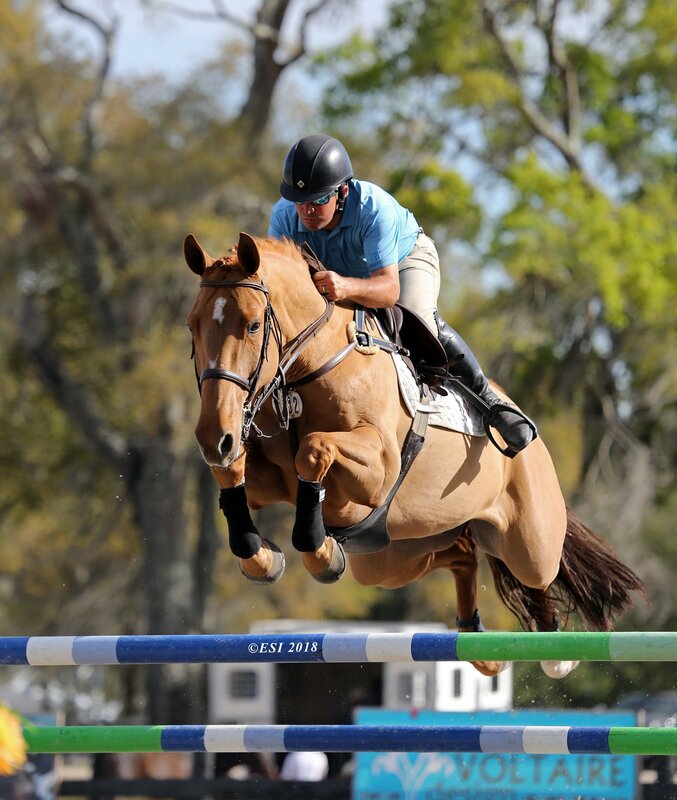 Goldman continued to be successful, placing fourth aboard CENTURION B and a jump-off time of 30.881. Fifth place was earned by Mark Jungherr and CONTE COULEUR with a jump-off time of 32.461. 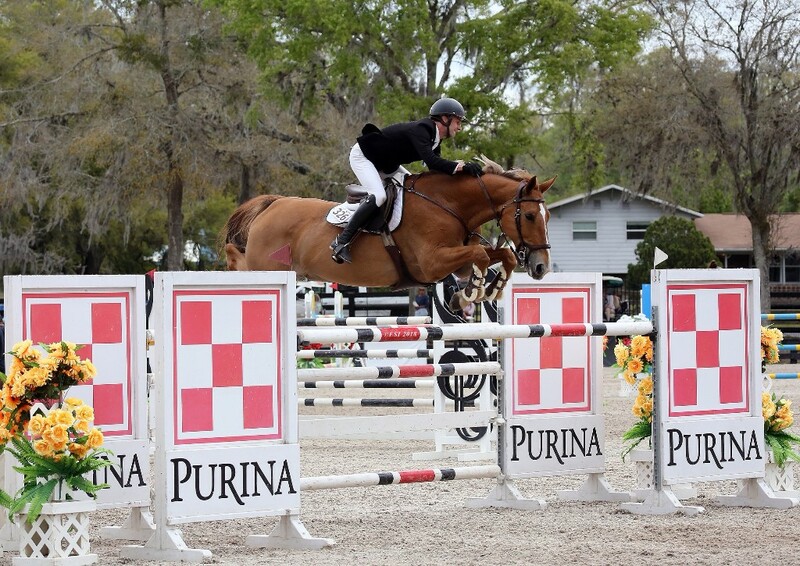 Francois Lamontagne and CHANEL DU CALVAIRE, winners of the $50,000 Purina Animal Nutrition Grand Prix. Cassandra Kahle and DIADORA showing in the High Performance Hunters. 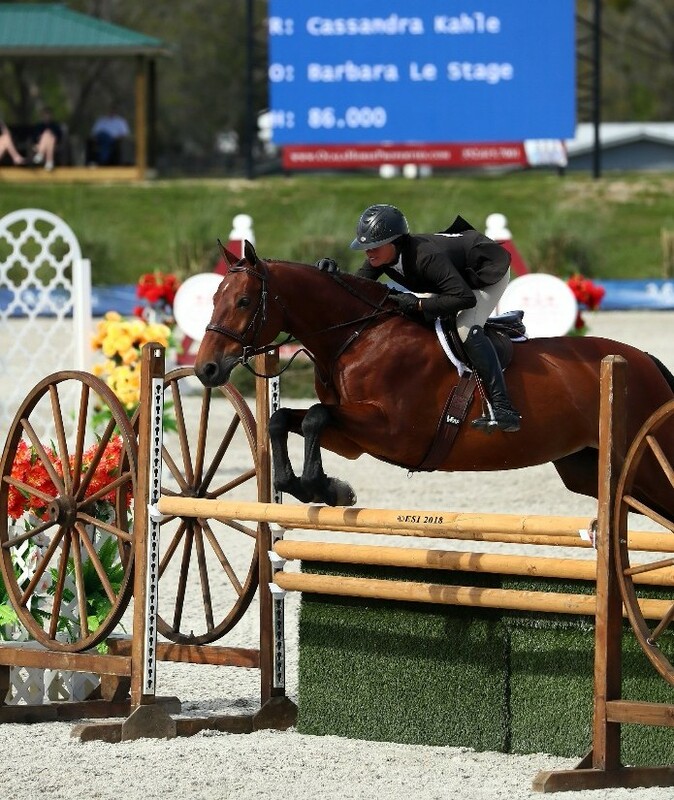 In the $1,500 USHJA Pony Hunter Derby, Emilia Richard and FAIRYTALES came out on top with a two-round total of 162. Second place was awarded to Sophia Ayers and PRIMA BALLERINA with a two-round total of 156.5. Anneliese De Rosaire and GAP SPRINGS HEART'S DESIRE came in third with a two-round total of 156. In fourth place was Mae Mannis and DAYS OF OUR LIVES with a two-round total of 152. Fifth was awarded to Katherine Ellis and BLUE MOON with a two-round total of 151. Click here to purchase tickets online NOW!